Preliminary conference program available here. The seminar papers will be made available here on or around 1 March 2019. Keyboardist Art “Poppa Funk” Neville was a founding member and frontman of The Meters, formed in 1967 with bassist George Porter Jr., drummer Joseph “Zigaboo” Modeliste, and guitarist Leo Nocentelli. The group is considered one of the originators of funk, and their songs “Look-Ka Py Py" and “Cissy Strut” have become classics. Neville left the band in 1977 to join The Neville Brothers, but reunited with The Meters in the 1980s. Neville comes from one of New Orlean’s notable musical families and has left a lasting musical legacy. He still occasionally appears with The Funky Meters, an offshoot of the original group. National WWII Museum of New Orleans, 945 Magazine St.
Louisiana Philharmonic Orchestra and The Historic New Orleans Collection present “Direct From New Orleans!” the thirteenth installment of the Musical Louisiana Series. St. Louis Cathedral. Doors open at 7:00 p.m.
Limited early admission available for SAM members (no reserved seating). Register online. Valid only between 6:30 and 7:00 p.m. at the Pere Antoine Entrance of the St. Louis Cathedral. Limited to 50. Dr. Michael White is a renowned jazz clarinetist, composer and educator. A relative of several first generation jazz musicians, White has performed around the world, made numerous recordings, written various essays, produced many events and is often seen in the media. He has received numerous awards, including from the National Endowment For the Humanities, the French government, the Jazz Journalists Association, the ASCAP Foundation and the Louisiana Endowment for the Humanities. Dr. White has a Ph.D. in Spanish from Tulane University and is currently the Keller Endowed Chair in the Humanities at Xavier University of Louisiana. Transportation to the venue will be provided for a modest fee and registration is required. The Perlis concert for the 2019 conference focuses on music by composers associated with the city of New Orleans. From the earliest years of the city's formation, witnessing first French, then Spanish, and ultimately American rule, through the influx of multitudinous immigrant communities that introduced extraordinary diversity of musical inspiration to its resident composers, to modern musicians continuing the traditions of creolization and synthesis in their works, New Orleans has seen a long history of notated music develop alongside its perhaps better-known oral traditions of ragtime, blues, and jazz. The concert will feature music by composers ranging from Louis Moreau Gottschalk, whose sesquicentennial anniversary will be celebrated in 2019, to Roger Dickerson, still living in Algiers, the 15th Ward of New Orleans. Enjoy a variety of local New Orleans delicacies while enjoying zydeco/blues musician Bruce “Sunpie” Barnes, who plays accordion and harmonica and sings in English and French. His music reflects the blend of Afro-Caribbean, French/Cajun, and African-American elements that underpins much of the traditional music in Louisiana. Enjoy a concert and a tour of the New Orleans Jazz Museum. A performance by local musicians (2:00–3:00 pm) will be followed by a tour of the Jazz Museum’s exhibitions and instrument collection. 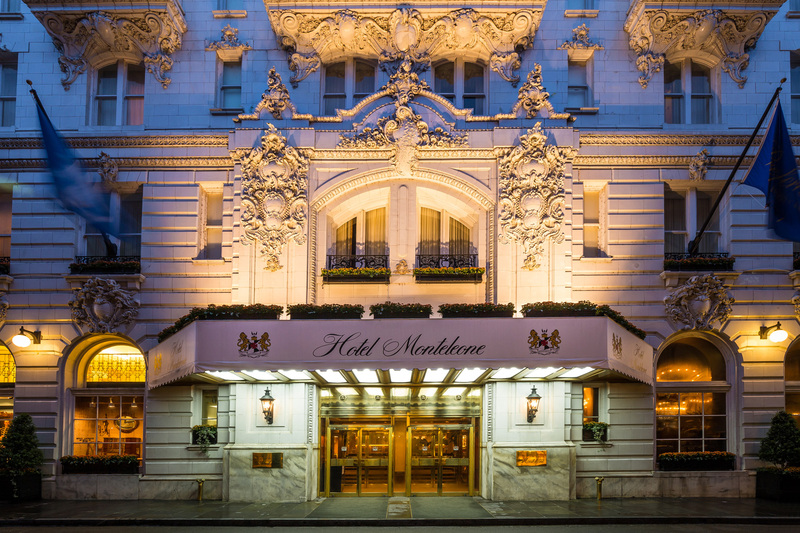 Bus service is provided between the Hotel Monteleone and the Jazz Museum. A curator-led tour of The Historic New Orleans Collection’s exhibition New Orleans Medley: Sounds of the City at its Williams Research Center will be followed by a panel discussion on the William Russell Jazz Collection at THNOC and the Hogan Jazz Archive at Tulane University. Associate Curator / Historian Eric Seiferth of THNOC will join drummer Barry Martyn and clarinetist Dr. Michael White on the panel. The Williams Research Center of The Historic New Orleans Collection is located at 410 Chartres St. in the French Quarter. Walk through the French Quarter and visit three organs important to the musical heritage of the city. See and hear the calliope on the steamboat City of New Orleans, the organ at the St. Louis Cathedral and the newly refurbished Aeolian organ at The Historic New Orleans Collection. This tour departs from the conference hotel and requires comfort with stairs and tight spaces. Visit THNOC while in New Orleans! With the 2019 conference fast approaching, we’d like to invite SAM attendees to share in 300 years of music making at The Historic New Orleans Collection (THNOC). As a conference co-host, we’re particularly excited to present the exhibition New Orleans Medley: Sounds of the City, at the Williams Research Center, 410 Chartres Street. Pore over Jelly Roll Morton’s handwritten sheet music, hear the tresillo beat of second-line drums, and watch vintage video footage of Mardi Gras Indians. Still curious? Our reference staff can connect you with tens of thousands of artifacts documenting the city’s diverse, dynamic musical culture. Before you leave town, be sure to visit our museum shop, at 533 Royal Street, for THNOC’s award-winning Louisiana Musicians Biography Series and other unique mementos.